Audio has long been involved in jingle work. Since the studio began in downtown Cleveland in the 1950’s, we’ve been churning out jingles and commercials for a variety of local and national ads. As the advertising work has changed, it has become a smaller part of the studio’s business. But when friend of the studio Kevin Sylvester approached us about recording a jingle, we couldn’t resist! Kevin decided to write a really zippy jingle for Ballreich‘s potato chips. 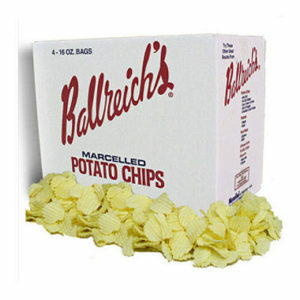 (Note: Ballreich’s chips were given out as one of the snacks at the 2017 Alzheimer’s walk!). He’s hoping to pitch it to the company soon. Kevin is quite a prolific composer and holds many patents for his compositions.